This is an invaluable tool which allows us to bring balance and harmony to our holistic being through the simple act of breathing and connecting with our fingers and palms. 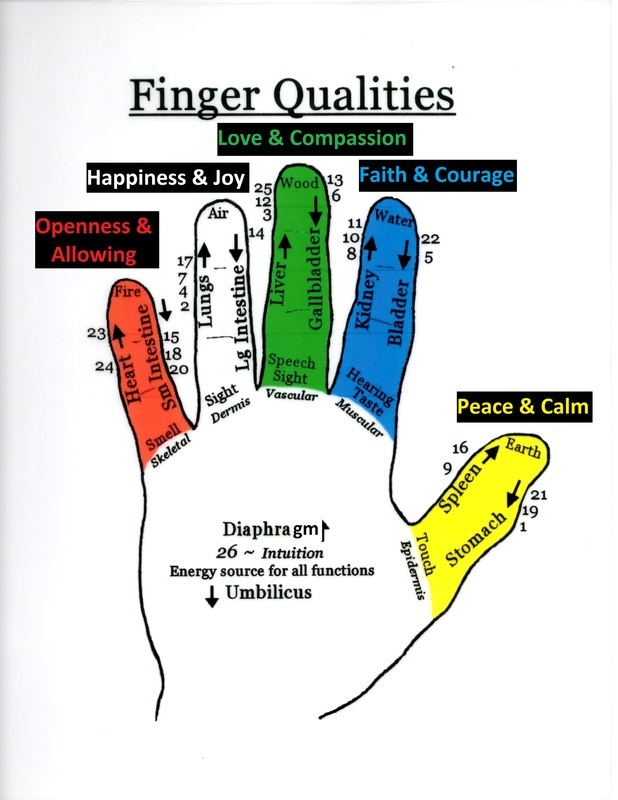 You can see in the "hand chart" that each finger has direct correlations to different attitudes, earth elements, organ functions, physical senses, structural systems in the body, and SELs. To bring balance to an attitude or harmony to an organ function, simply hold (very lightly, not squeezing) the finger, thumb or palm that correlates with the project area, drop your shoulders, smile, and Breathe.